It’s World Emoji Day, and Apple is celebrating the global event in a humorous way that you might miss unless you look hard enough. 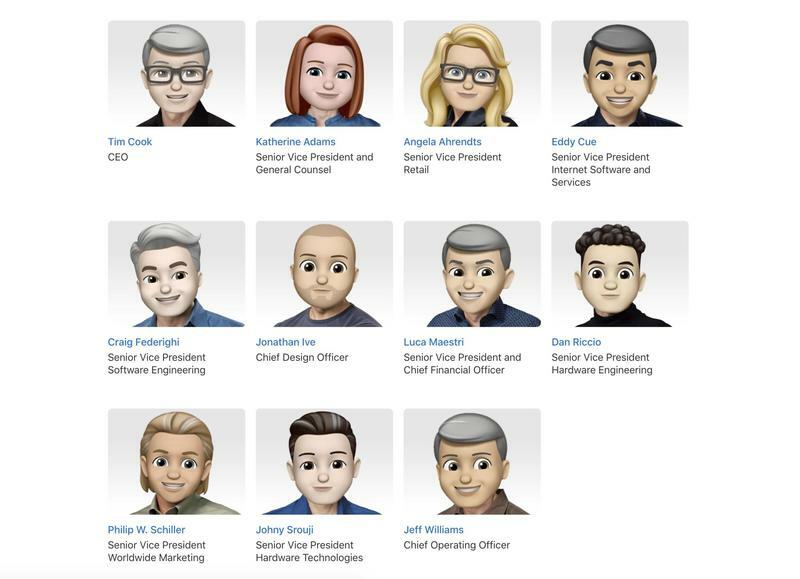 The Cupertino-based company put Memoji over the headshots for every executive on its leadership page. Go over to that page now, and you’ll see everyone from Tim Cook to Jony Ive to Angela Ahrendts has been recreated in Memoji. Apple will ship Memoji with iOS 12 later this year. The feature was announced at WWDC 2018, and it allows all users to take their appearance and have it become emoji-based. These Memoji can be tweaked to your liking and paired with some accessories. Speaking of emoji, Apple will ship more than 70 new characters in the fall. The latest versions of iOS, macOS, and watchOS will support Unicode 11.0 after upcoming software updates. Since its customers are communicating with more than just words and photos/videos these days, Apple wants to ensure everyone has a fun and diverse set of emoji to choose from. Anyone who’s on the iOS 12 beta can already enjoy Memoji, and be sure to let us know on Twitter how you’re liking it on World Emoji Day.